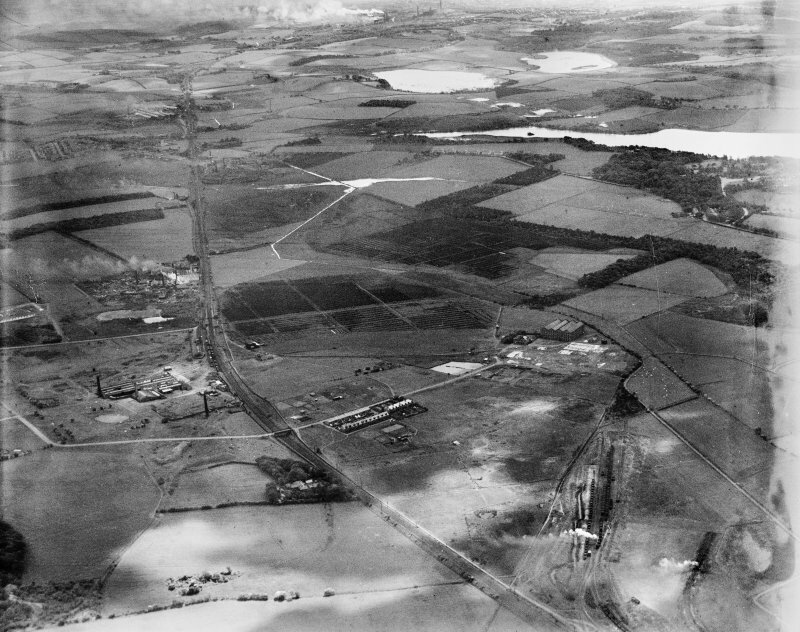 General view, Garnkirk, Cadder, Lanarkshire, Scotland, 1937. 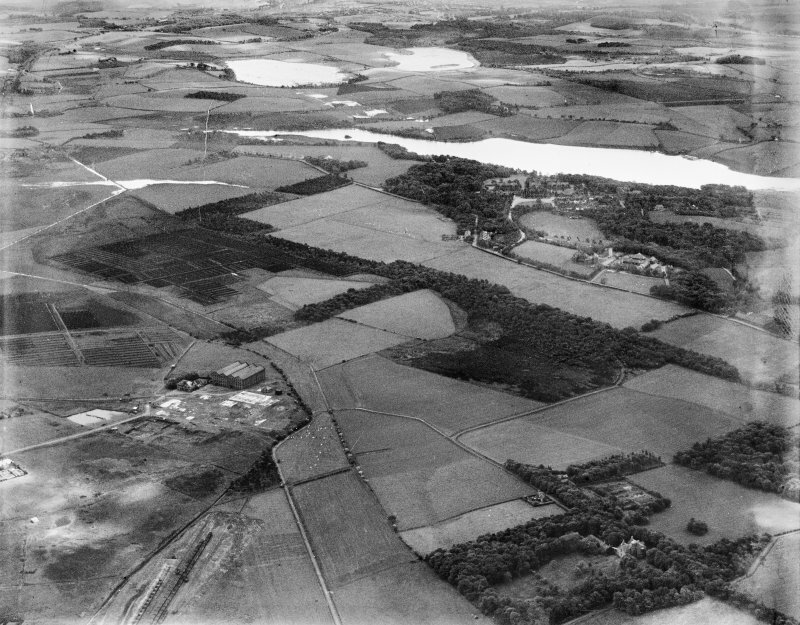 Oblique aerial photograph, taken facing south-east. 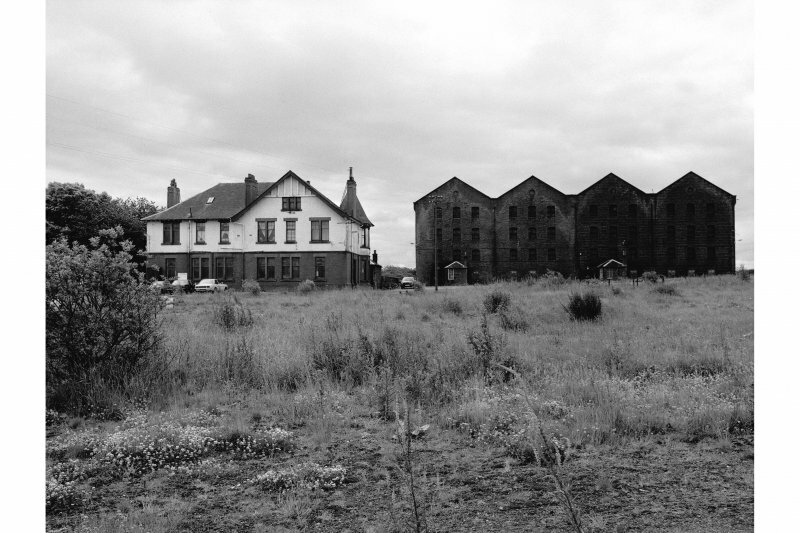 Gartloch Distillery appears on 2nd Edition (1913) O.S. map; only the offices and bonded warehouses appear on the 1968 1:2500 hundred sheets and all buildings are depicted as roofles by the time of the 1994 1:10000 scale.